"I can't hear anymore. It's scary because my job is hearing," the former Sugar Ray frontman said. 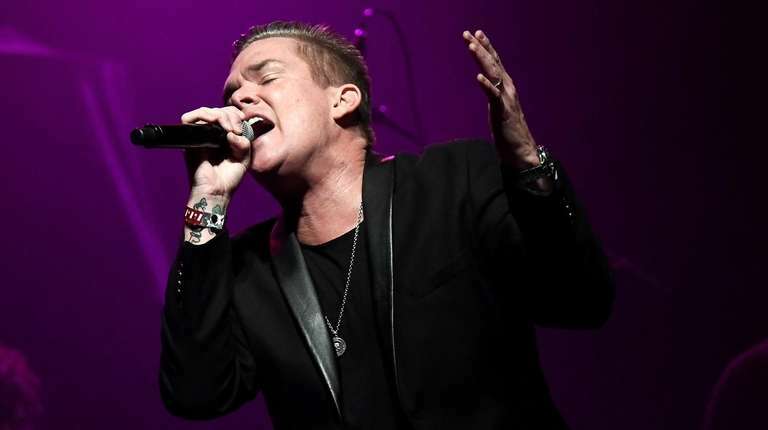 Mark McGrath, frontman of 1990s hitmakers Sugar Ray, has joined the list of rock musicians who have gone public about suffering hearing loss after years of loud performances. "I'm deaf now. I cannot hear anymore," McGrath, 50, said on Wednesday's episode of the syndicated "DailyMailTV," adding, "It's years and years of being on the road and being two feet behind cymbals and drums. And so, high frequencies I can't hear anymore." An accompanying story at DailyMail.com both mis-transcribed his statement and wrote "symbols" rather than "cymbals," a gaffe McGrath addressed in a tweet in which he indicated that his statement of deafness was not to have been taken literally. "Though I've definitely have [sic] some hearing loss in one ear (think of it as sight as you get older), I think the inclusion of the word 'symbol' is a symbol of the validity of this story," he wrote Thursday. According to the article, McGrath went on to say, "I'll be listening to people and they'll tell me their names and I can't hear anymore. It's scary because my job is hearing." He noted, "You can't repair your hearing. Once it goes, it goes. You can hope to stop the damage. It's absolutely a worry of mine. I mean no one's ever coming to hear a high C like a Mariah Carey show from me, thank God." McGrath, the father of nearly 9-year-old twins with wife Carin Kingsland, assured he has begun using in-ear monitors (IEMs), devices that reduce ambient noise while also receiving a performance's electronic sound mix. However, "As I get older, my health's going," he pointed out. "I have knee problems, back problems. So I am working on the hearing now. …[T]he whole Huey Lewis thing has been a warning for all of this, for sure," he said, although rocker Lewis' much-publicized hearing loss stems from Meniere's disease. Musicians who have described noise-induced hearing loss or tinnitus include Roger Daltrey and Pete Townshend of The Who, Jeff Beck, Eric Clapton, Sting and Neil Young.